Test your home for radon — it’s easy and inexpensive. 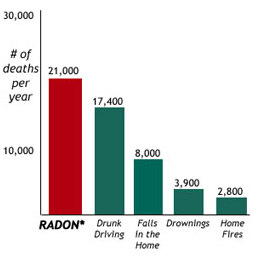 Radon reduction systems work and they are not too costly. A radon reduction system installed by New England Radon is guartanteed to reduce radon levels in your home to acceptable levels.